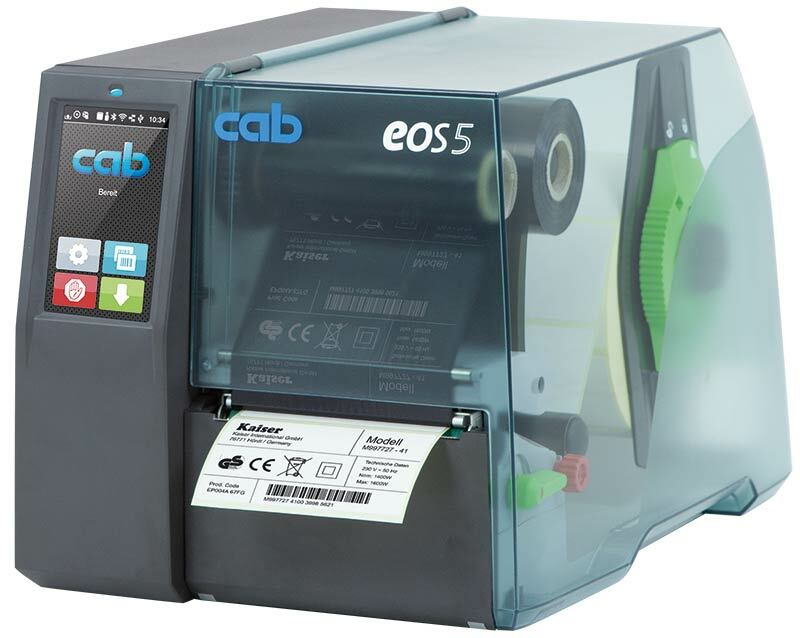 The EOS series combines all functions of a solid label printer with highest operating comfort. To achieve accurate imprint with slim materials and ribbons, slim print rollers are needed. These prevent from print roller wear, print head contamination and errors during material feed. The label roll is inserted and automatically centered when closing. The stop can be adjusted according to the ribbon width. In case of cleaning or wear, the print head can be replaced easily by hand without tools. The sensor position can be adjusted via a spindle using the red rotary knob. The chosen position is indicated by a LED. In case of cleaning or wear, the print roller can be replaced without tools. The material specifications are standard values. Applications with small labels, very thin, slim, thick and stiff materials as well as labels with a strong adhesive need to be tested. All printable materials can be cut. The cutter can be pivoted to exchange the material. Continuous materials such as textiles or shrink tubes are perforated before they are manually separated. In addition, the materials can also be cut. The cutter can be pivoted to exchange the material. When inserted, the material rolls are automatically centered. 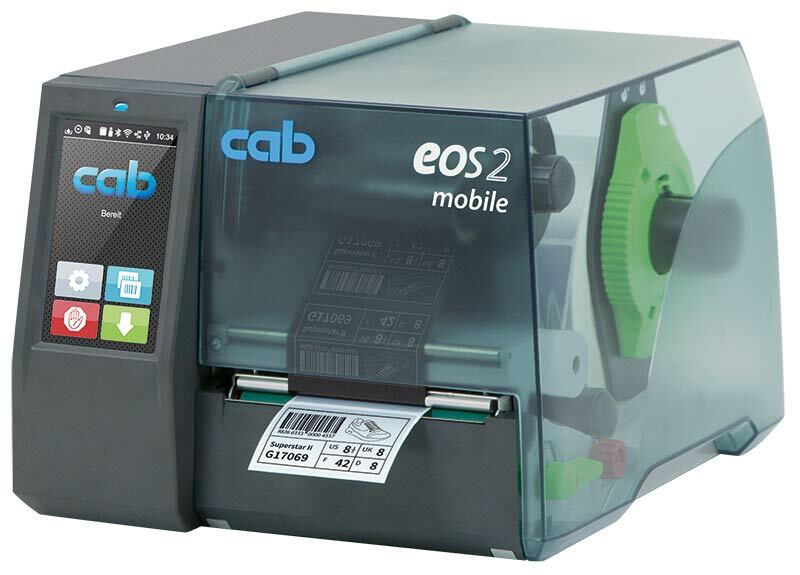 The unwinder cannot be installed with EOS mobile. for EOS2 and EOS5. The fanfold material is tightly fed in the printer and printed precisely. The brake cannot be installed with EOS mobile. 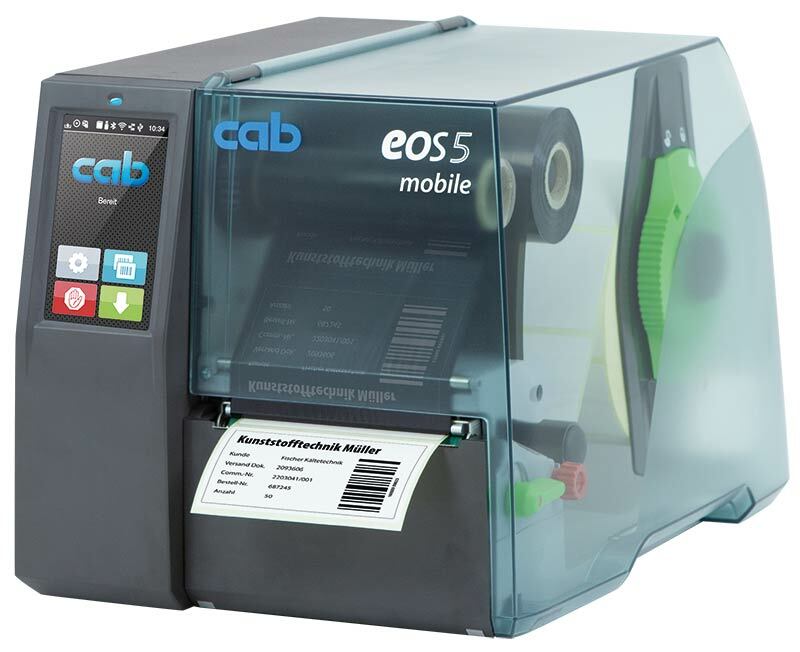 with a charger unit already included for mobile operation. It is installed under EOS mobile. Per battery capacity, a maximum of 500 print jobs with a label size of 100 x 68 mm and 15 per cent density may be processed.